It had been awhile since Katie and I have had a chance to go on a hike together. We were fortunate enough to get a break in the weather on Saturday and took the opportunity to hike to Ramona Falls near Zigzag, Oregon. The trailhead is about 6 miles Northeast of the town of Zigzag off Lolo Pass Rd. (North of Hwy 26). The approximately 6.9 mile loop trail gains about 1,110 feet in elevation, so it is a moderate hike. The first 1.25 miles of the trail follows the Sand River Trail # 770 to a junction. 2011 marked my second year running the Hood to Coast Relay, dubbed "The MOTHER of All Relays". 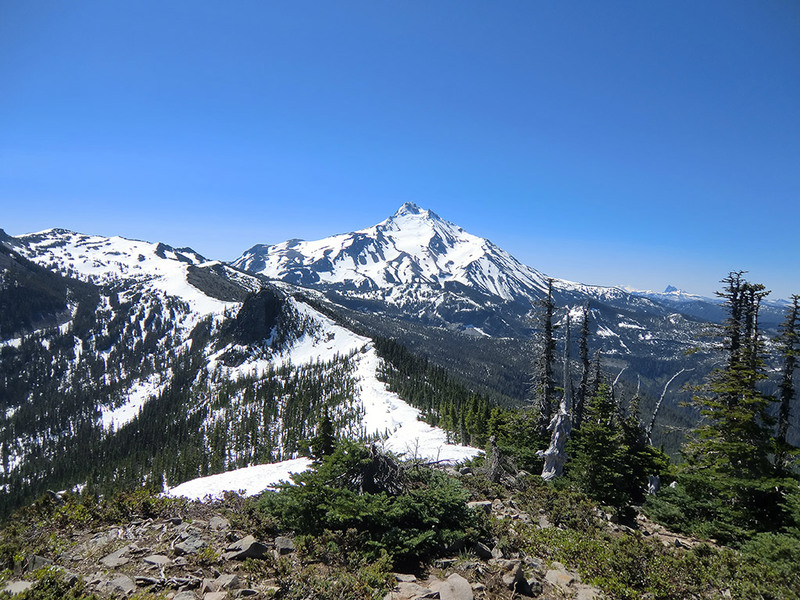 The Hood to Coast is a 200 mile multi-day relay consisting of 1,250 twelve-member teams which begins at Timberline Lodge on Mount Hood, Oregon and finishes at Seaside on the Oregon Coast. Each team normally has two vans of six runners. 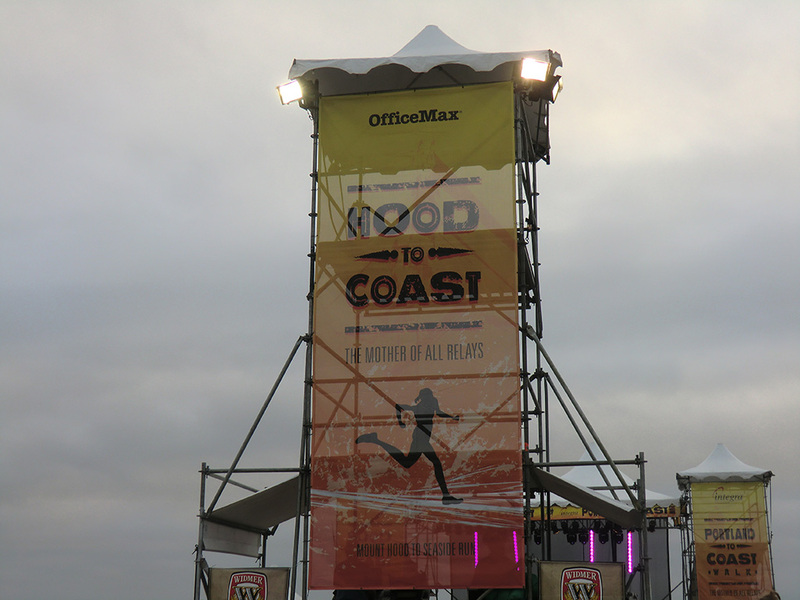 2011 was the 30th anniversary of the Hood to Coast Relay, and it is the largest running relay in the world. Each team member typically runs three legs varying in length from about 4 to 8 miles for a total of 36 legs per team. After hiking to Ice Lake and spending Saturday night, Matt and I woke up at 3 AM Sunday to climb the Matterhorn and Sacajawea Peak. The Matterhorn is the second tallest peak in the Wallowa Mountains at 9,826 feet. 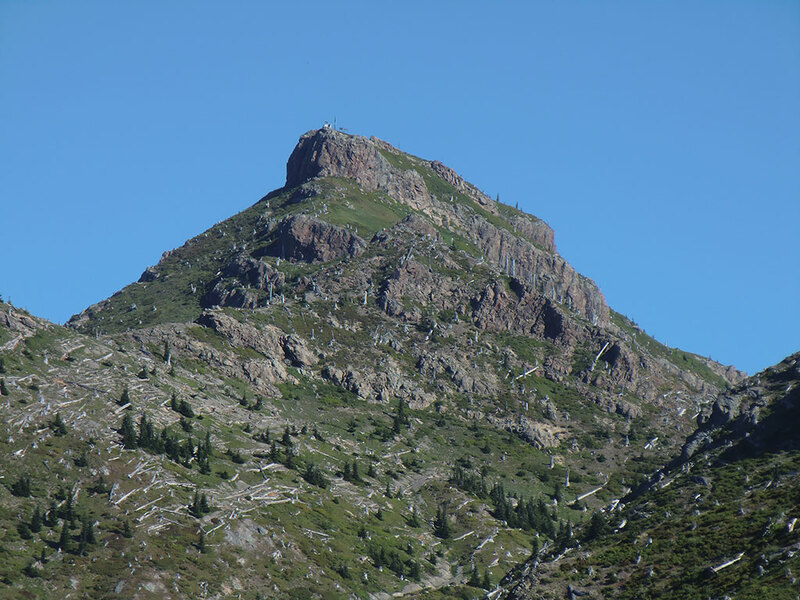 Sacajawea Peak is the tallest at 9,838 feet. 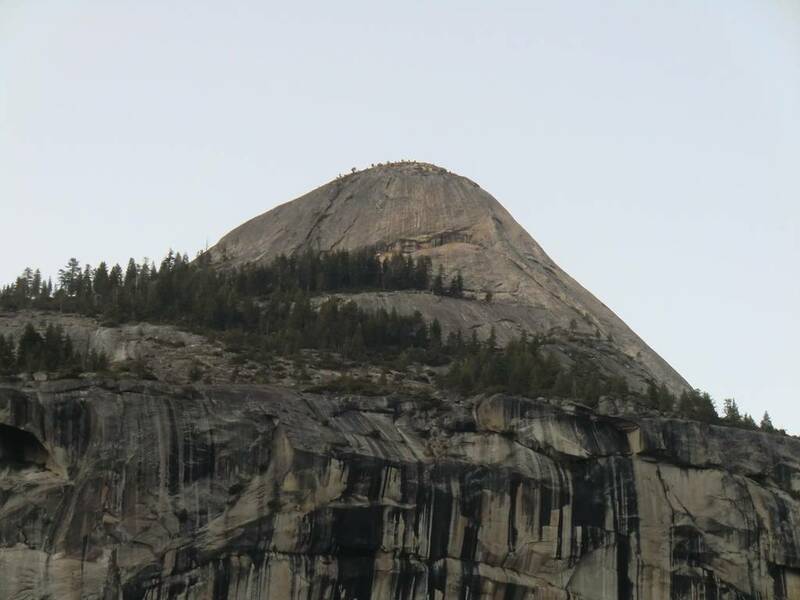 The West face of the Matterhorn (not the side we climbed) rises steeply about 3,200 feet above Hurricane Creek. The easiest route (and our chosen route) starts from Ice Lake. Matt and I planned to meet up with Ryan (a new climbing companion) in Northern Washington on Friday evening before heading to the Lake Ann trailhead to climb Mount Shuksan via the Fisher Chimney route. 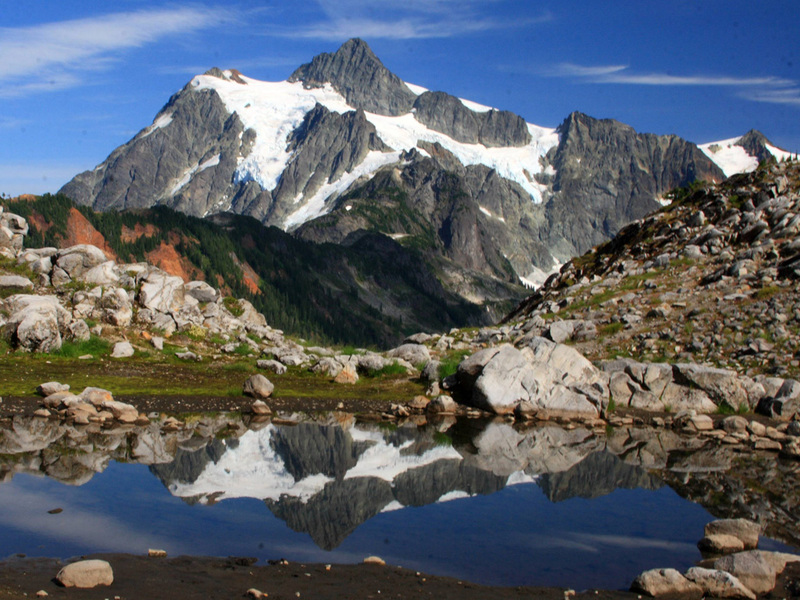 Mount Shuksan is 9,131 feet tall and lies within the North Cascades National Park. 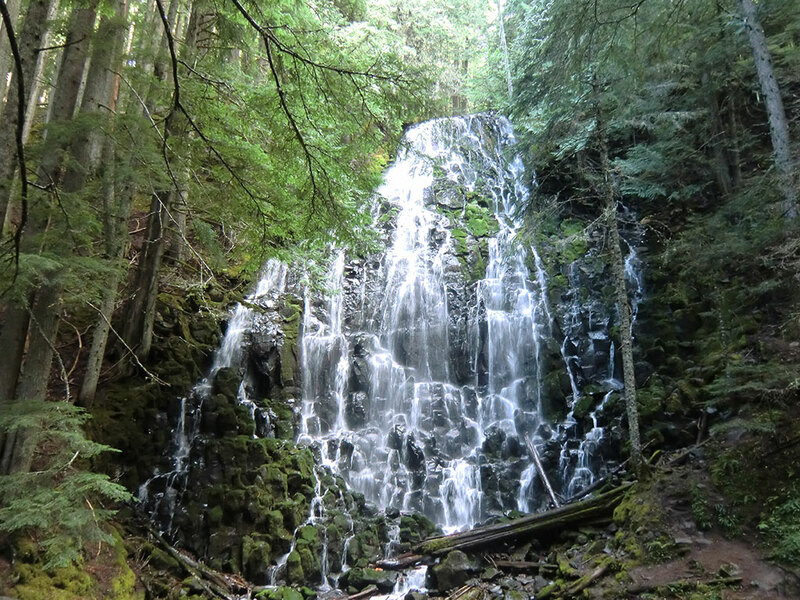 It's about 6 miles East of Mount Baker and 12 miles South of the Canadian border. Mount Shuksan is a glaciated massif (non-volcanic) in the Cascade Range formed by tectonic plate collision. After hiking to the top of Tumalo Mountain this morning, Katie and I headed across the road (Cascade Lakes Highway) to Mount Bachelor Ski Area. 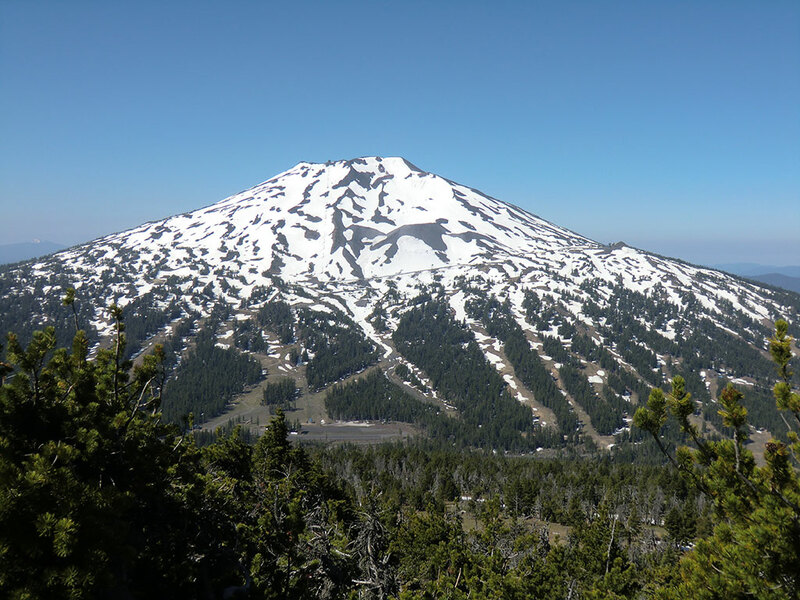 Mount Bachelor is a stratovolcano atop a shield volcano that is 9,065 feet in elevation. We wanted to climb to the summit and decided to shorten the route by riding the Pine Marten Express chairlift up to 7,775 feet elevation. From this point, we only had to climb about 0.9 miles and 1,300 vertical feet to the summit. Katie and I both had the day off Friday, so we drove South with our tent trailer to Cultus Lake campground on Thursday night. We woke up early Friday morning to hike to the top of South Sister (also known by the name "Charity"), Oregon's third tallest peak at 10,358 feet in elevation. 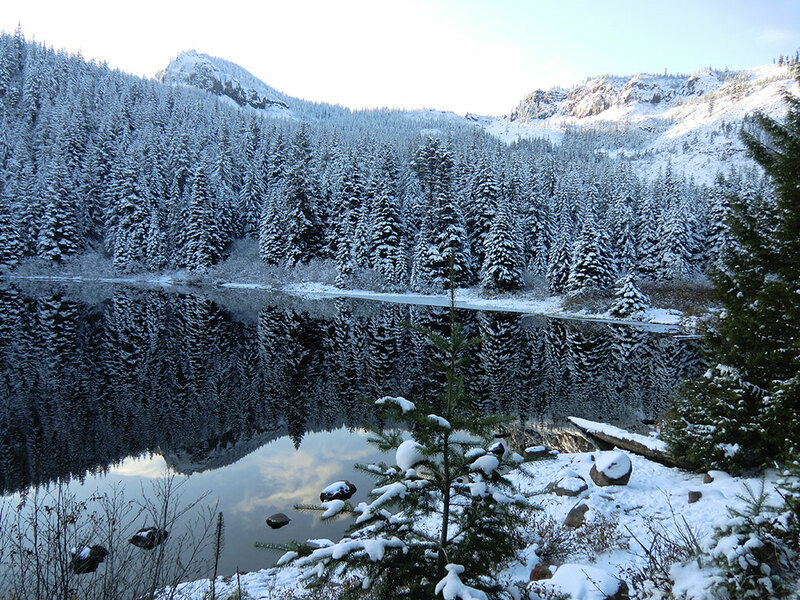 The approximately 5.5 mile long South Sister Climber trail # 36 (11 miles round-trip) starts at Devils Lake off the Cascade Lakes Highway and climbs nearly 4,900 feet to the summit. Friday night, five of us (Al, Matt, Paul, Phillip, and I) drove from Portland through Sisters, Oregon in order to get an alpine start (i.e. 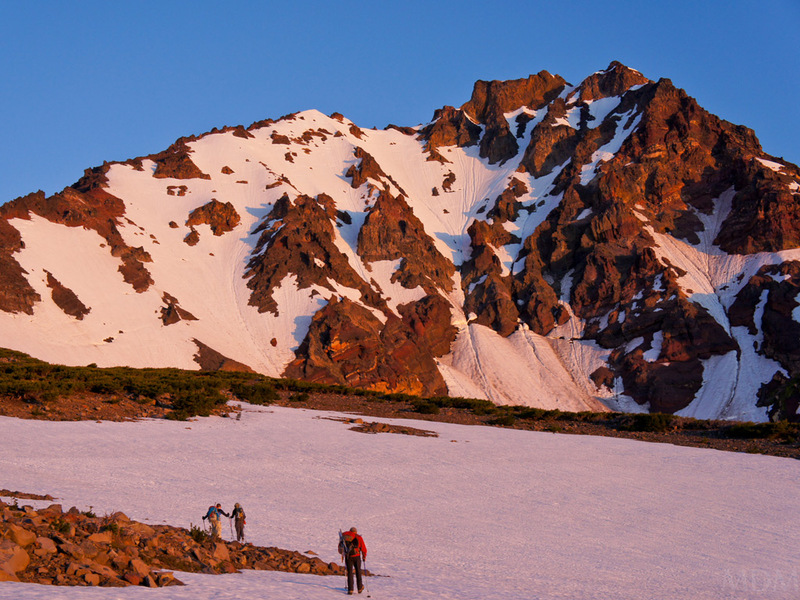 way before sunrise) climbing North Sister Saturday morning. 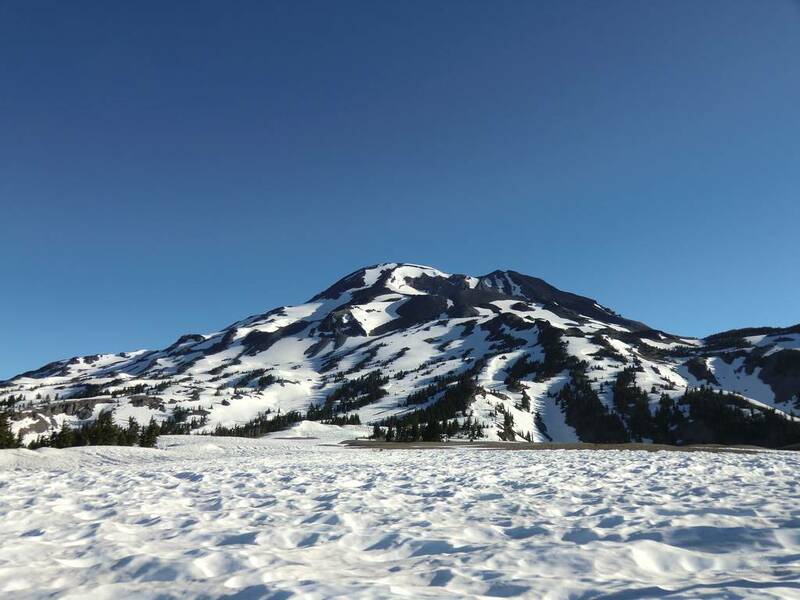 At 10,085 feet tall, North Sister (also known as "Faith") is the fourth tallest peak in Oregon and the oldest and hardest of the Three Sisters to climb. 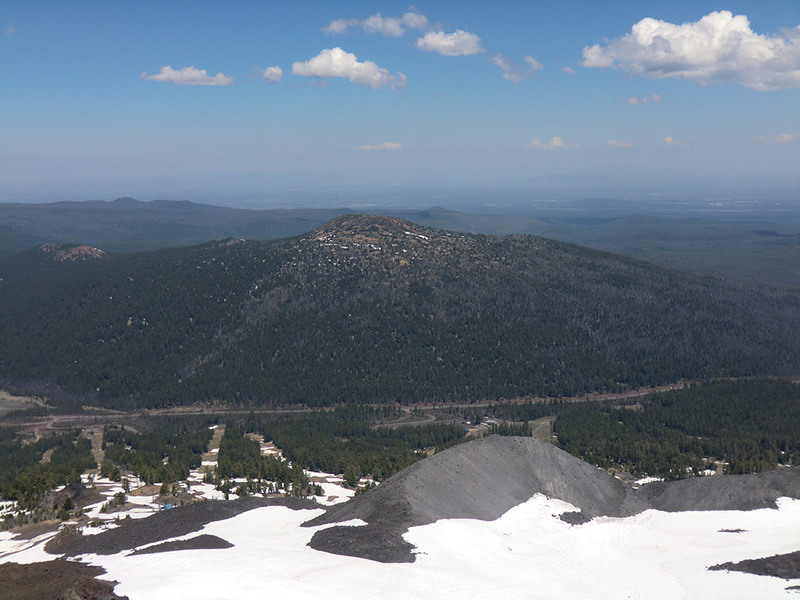 It is a shield volcano while neighboring Middle and South Sister are stratovolcanos. 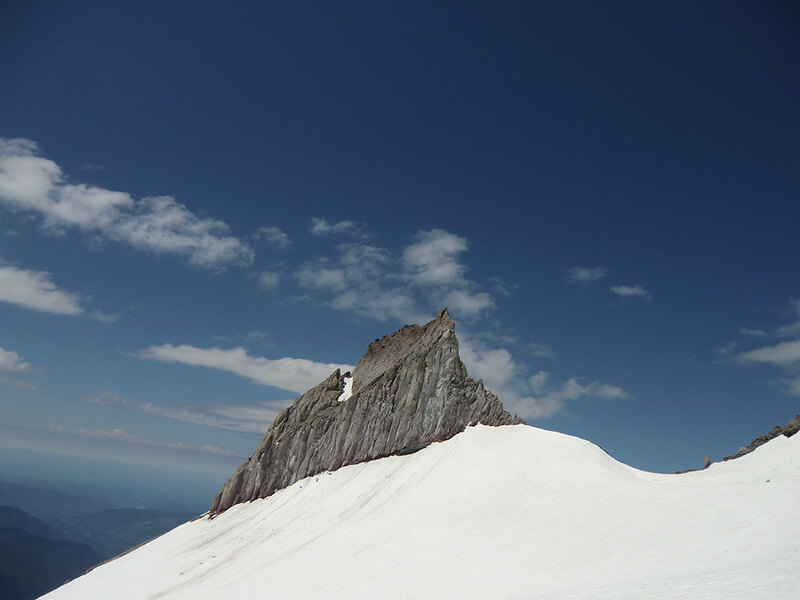 North Sister is highly eroded with rockfall, a common occurrence. During our camping trip along the Breitenbush River (NE of Detroit Lake along Rd 46), Katie, our dog Bella, and I went for a day hike into the Mount Jefferson Wilderness to Bear Point. The trailhead is about 4.5 miles from road 46 off road 4685. The well-marked trailhead parking is a large gravel area with room for many vehicles. 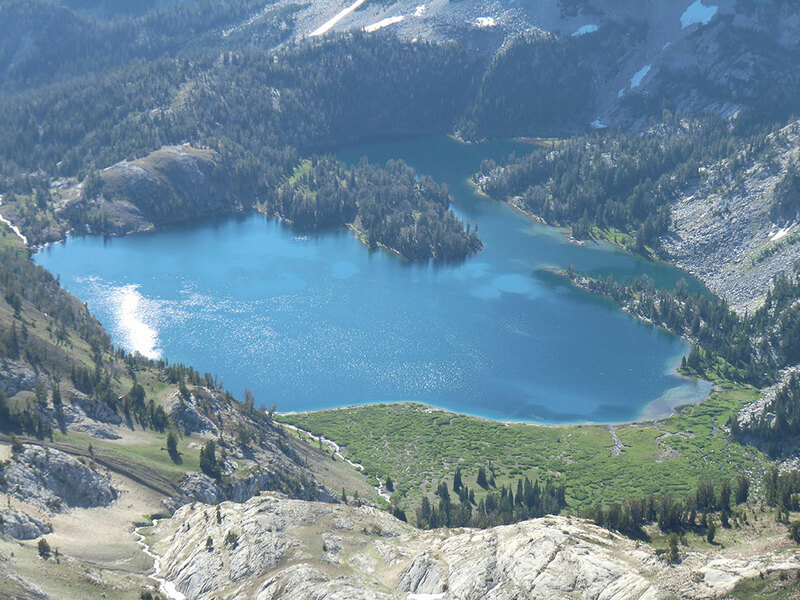 Wilderness permits are available for free at the trailhead and are required for day and overnight trips. The hike to Bear Point is approximately 7.2 miles round-trip and is rated difficult due to its nearly 3,000-foot elevation gain. On Friday, my cousins David and Kenny, my uncle Richard, and I hiked to North Dome with a side trip to the natural arch near Indian Rock. 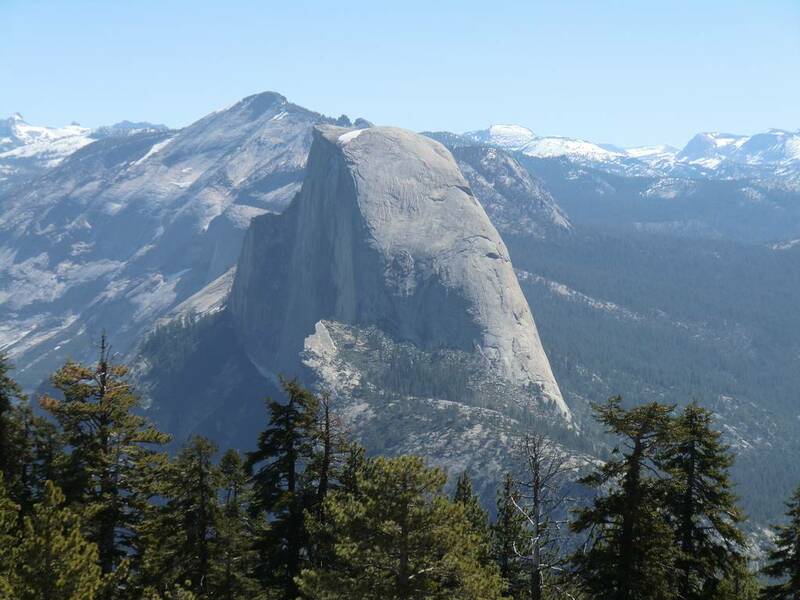 We were the only four up for a 10 mile hike the day after hiking Half Dome. 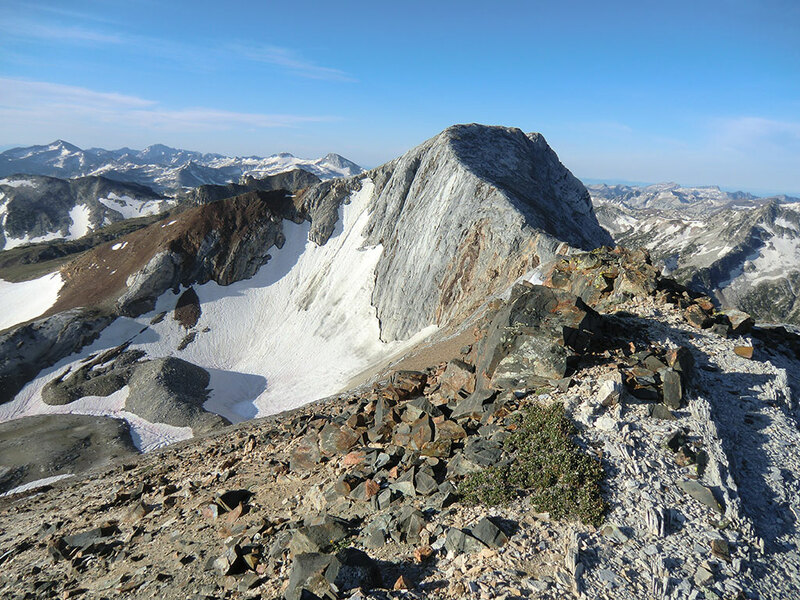 The North Dome trail starts at the Porcupine Creek trailhead off CA SR-120 (aka Tioga Pass Road) and is approximately 9 miles round-trip. We drove to the trailhead from Housekeeping Camp in Yosemite Valley where we were staying the week.